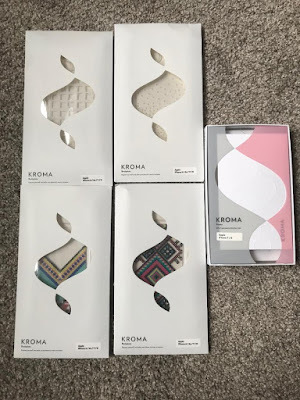 Mommy's Favorite Things: Kroma iPhone Cases & GIVEAWAY! 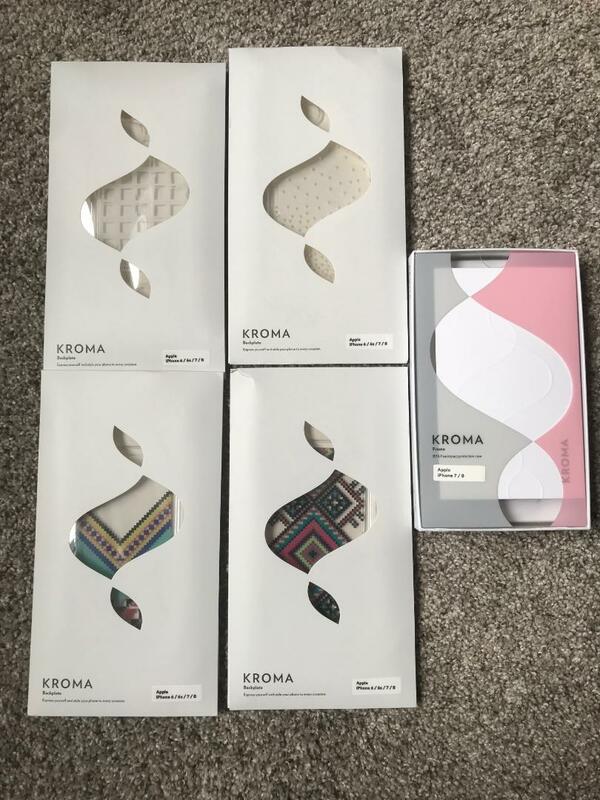 Kroma iPhone Cases & GIVEAWAY! I'm an avid iPhone user. I will never go back to Android again. 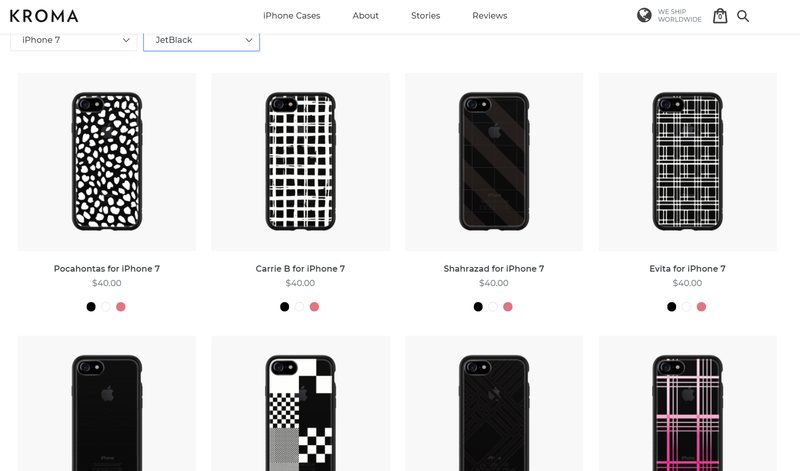 With that in mind some of the cases out there for iPhone aren't the best. They're flimsy and hold no protection or they're ridiculously expensive. Enter Kroma. 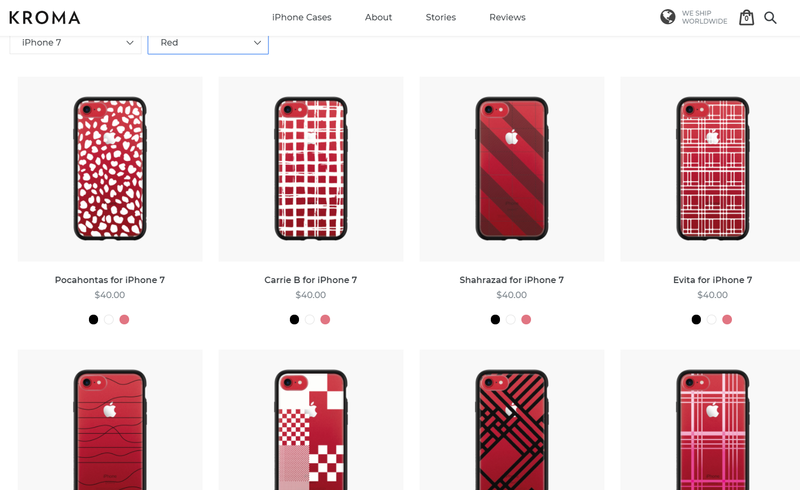 Very affordable iPhone cases and they're SUPER cute to boot. The Black frame to the left. The case is super easy to install, just put the backplate on the back and slide the frame over the backplate and your phone. It is VERY secure once it's on. Daenerys is so flirty and fun, especially on my Rose Gold! Berry Crumble is what I first fell in love with on their site! So pretty! 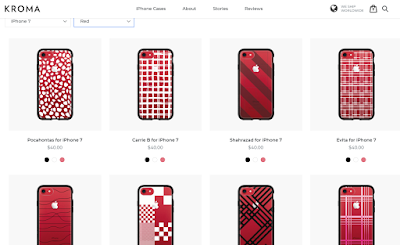 Their site is easy to use, you can select if you have your iPhone Device and the color of your phone and then the backplates all update to show you how it would look on your color phone. Seen below in Jet Black and Red iPhone7. 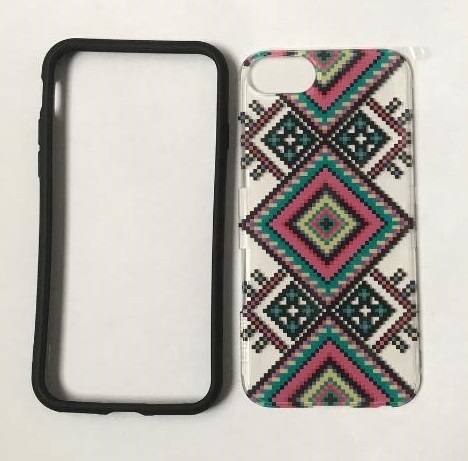 Kroma cases feature a ShockSpread material which is super tough yet flexible. They can absorb at least 11 ft of impact. So know your phone is protected against ALMOST any drop. It's also a certified military grade material. So far I'm loving my case, It's thin and lightweight, prevents against drops, and even though the screen isn't protected, the frame has a raised lip so that if it falls, it doesn't land right on the screen. Price: A frame with backplate is $40, additional backplates are $15. So you could get MULTIPLE cases for the price of an overly expensive case at the store. 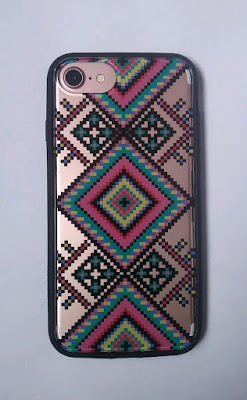 Overall: ***** LOVE my case so far! BUT you also have a chance to WIN a set. 1 reader will win 1 Frame and 3 Backplates of your choice! I really like the Tulle for iPhone 8. Pansies are one of my favorites. I love the Mulan, Chintz and the Queen Alexandra's case. I like the "tulle" for iphone! love Organza for iPhone X!! I like the Invisible and the Lara C! I like the Daenerys, Organza, and Wood White! I would need for I phone 6. I like the girly flowers and bright colors back plates! I would go for the Aberdeen backplate. Thanks for the great giveaway! 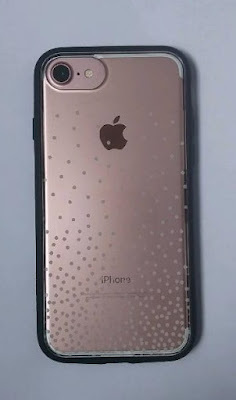 I have an s8, and Id have to choose the tulle back plate first! I really like the M Poppins and the Invisible phone cases. They offer a very nice selection. I like the Sissi and Mulan backplates! Chiffon for iPhone X is so pretty love all of them. I love the Wild Blueberries design! Thanks so much for the chance! I really like the tulle case, I love the flowers. I would choose the Dreams of Sunshine. It is so pretty. 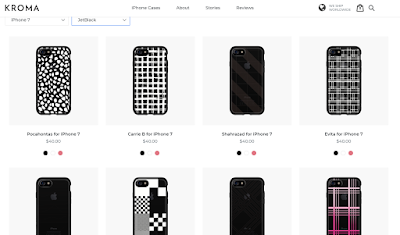 I like the Watermelon for iPhone X.
I would choose Cosmo Orange.